Despite the crazy weather we have been experiencing (it snowed on Saturday. SNOWED!) I do have faith that spring and subsequently summer are on their way. 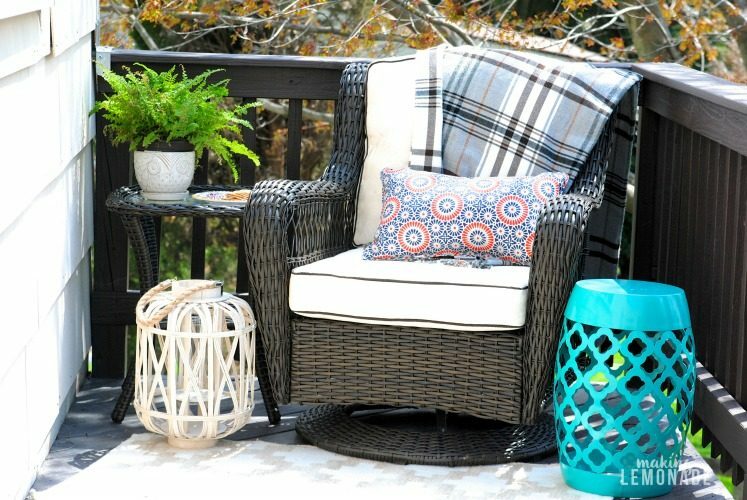 We like to spruce up our deck early in the season so when the warm weather does hit we are ready for morning coffee, impromptu entertaining, and grilling out on a daily basis. 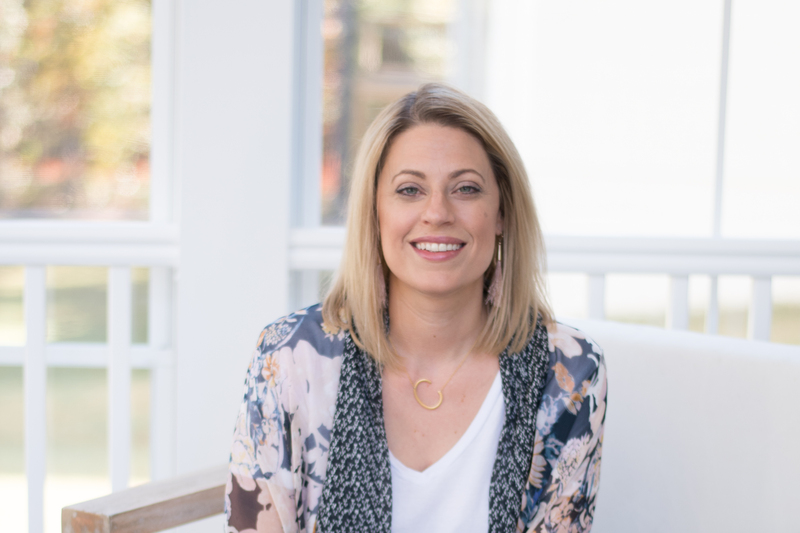 Now that we are putting our home up for sale, maximizing curb appeal and showing buyers the potential for outdoor living on the deck has become #1 on our list! Plus, I’ve gotta admit… I just love living out here. It makes summer extra special, you know? 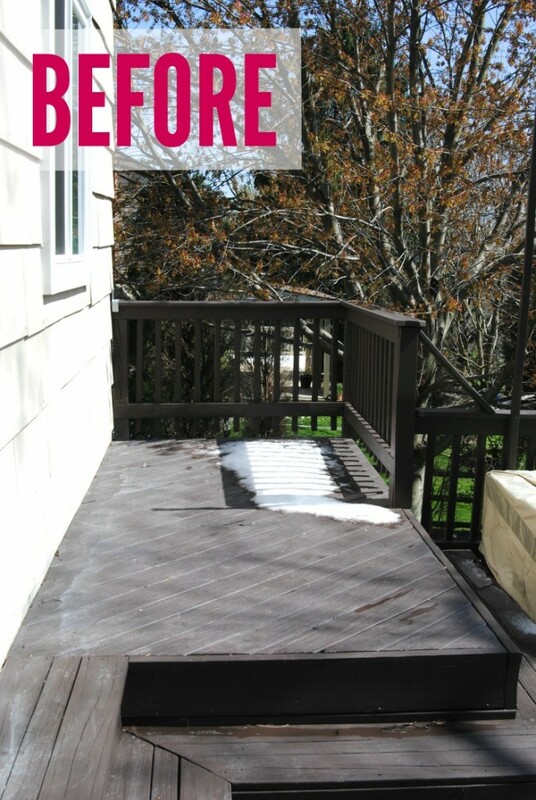 Our deck makeover last summer was great, but had a few lingering issues. First, we never found a solution for this awkward second tier. We wanted to make it into a spot for morning coffee in the shade of the tree but it’s hard to find furniture to fit. This weekend all it seemed good for was holding snow. The other problem was our patio umbrella broke and needed to be replaced. The deck gets some pretty direct sun so we need shade, especially next to our outdoor sectional. Here’s another ‘before’ shot from the past (April) weekend. Is this real life? WHERE IS SPRING?! 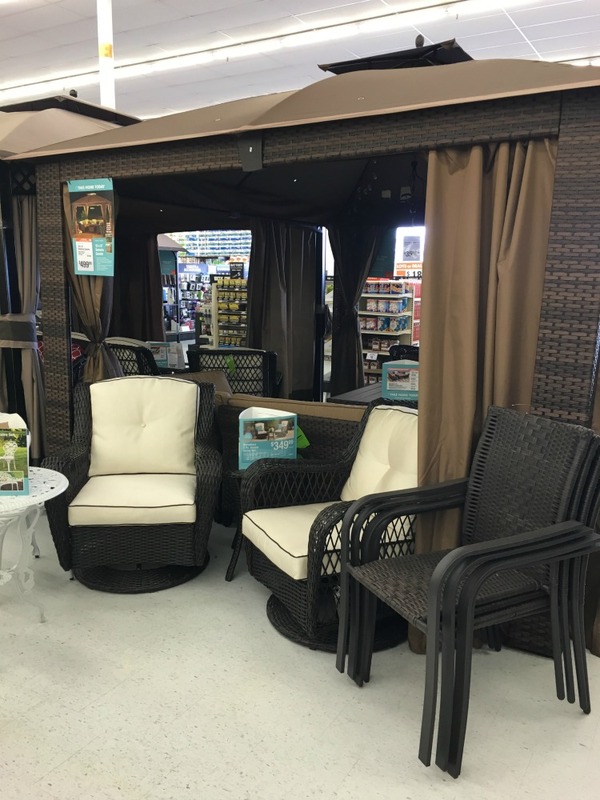 With dreams of summer in our minds, we headed to Big Lots to see what outdoor furniture and decor we could find to get the deck ready. They had lots of outdoor furniture set up in the store and we quickly found the perfect set. This is the Barcelona 3-pc Swivel set, we love the classic style and how the chairs swivel to make them more flexible for our space. 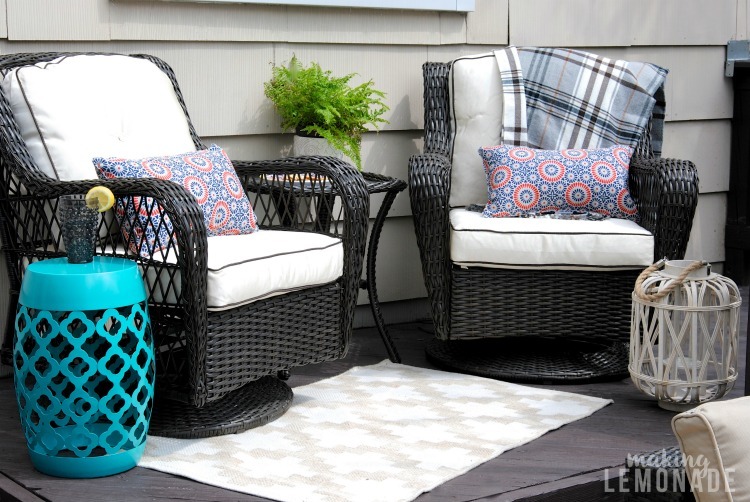 Plus the outdoor wicker is easy to clean and the contrast with the light colored cushions is on point. 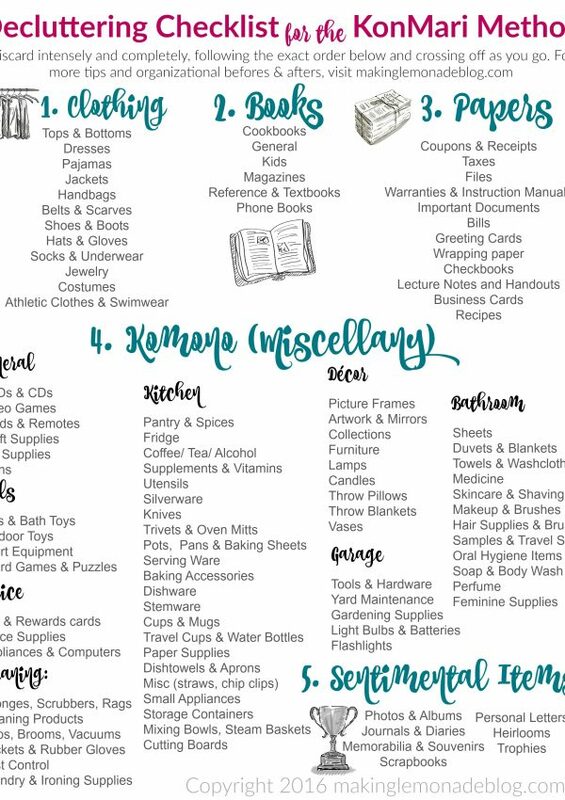 Big Lots carries high-quality (yet value priced!) 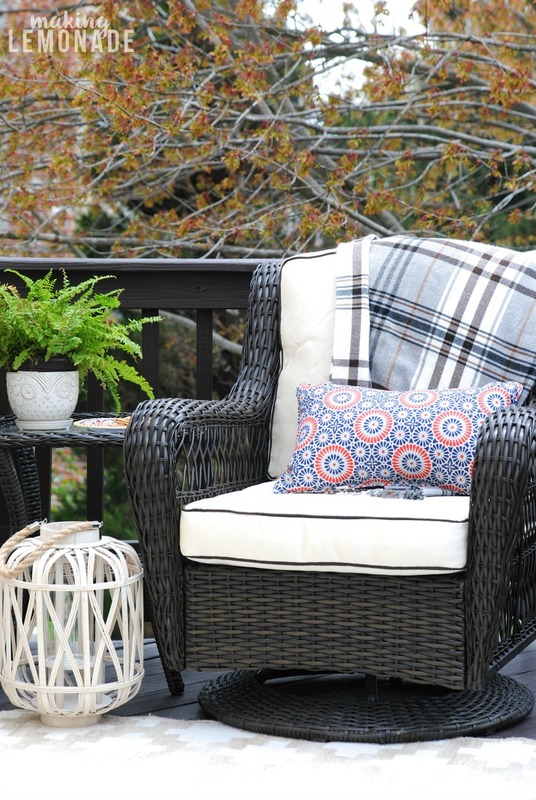 outdoor living products, including patio furniture & gazebos, that are right on trend. 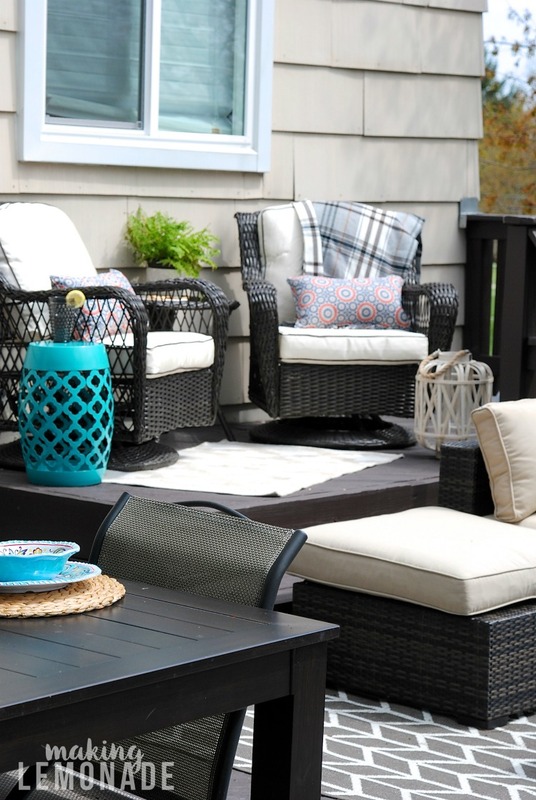 As you’ll see, you can mix and match them to create the perfect outdoor space for your family’s needs. They had it in stock in the back and the employees even rolled it out curbside for us. Thankfully they didn’t even give me the side-eye for buying outdoor furniture with 3-5 inches of snow in the forecast. What can I say, I’m a planner we love having our deck summer ready as early as possible! There were other high-quality pieces of outdoor furniture in stock as well. I considered getting the Sonoma Gazebo because of mosquitoes, but decided to wait until after our move. 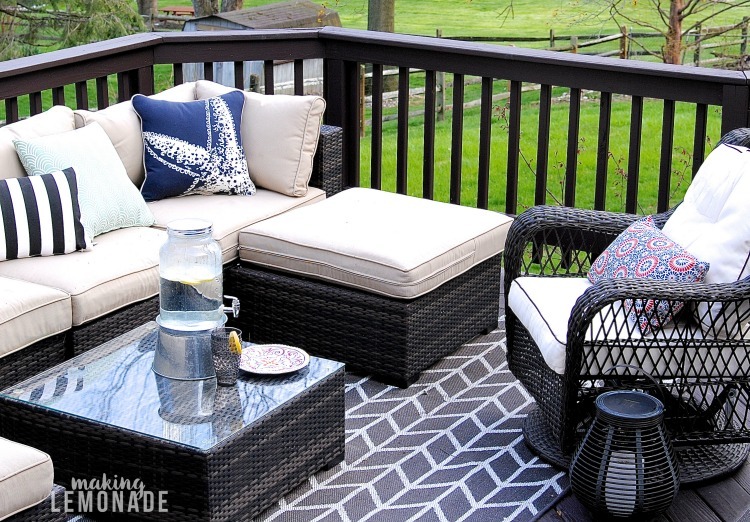 I added a few other things to the cart to make it the perfect outdoor space for entertaining. 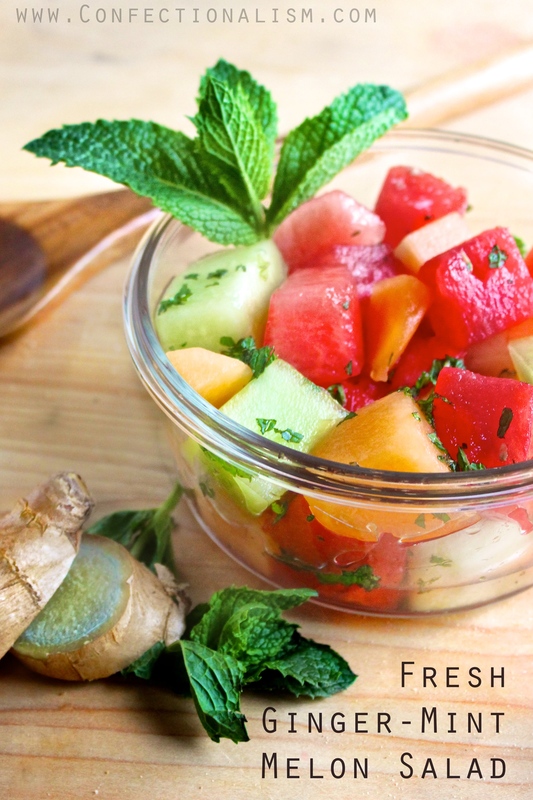 Seeing the bright colors made my head start swimming with all the possibilities for summer. I’m not kidding, browsing the outdoor living section of stores always helps boost my mood during colder seasons; please tell me you do this too?! As much as I love the set together, I have to admit it’s extremely flexible and I might just split it up! One chair fits great in this (soon-to-be) shaded area– I can’t wait until that tree fills in with it’s lush green leaves. The other adds extra seating near the outdoor sectional, and turns so you can face whomever is talking. Or, you know, swivel round in it about 52 times like my son did. 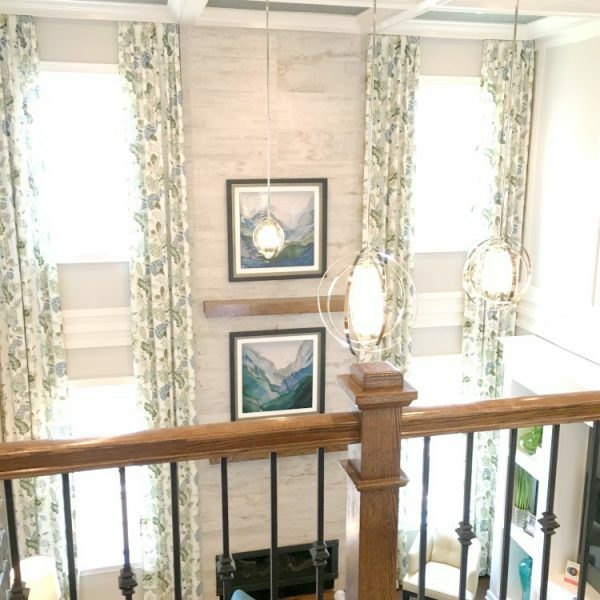 I’ve found when turning a house into a home, the difference is in the details. An outdoor planter here, a throw blanket there– adding different layers and textures turns a ho-hum space into one everyone gravitates towards. 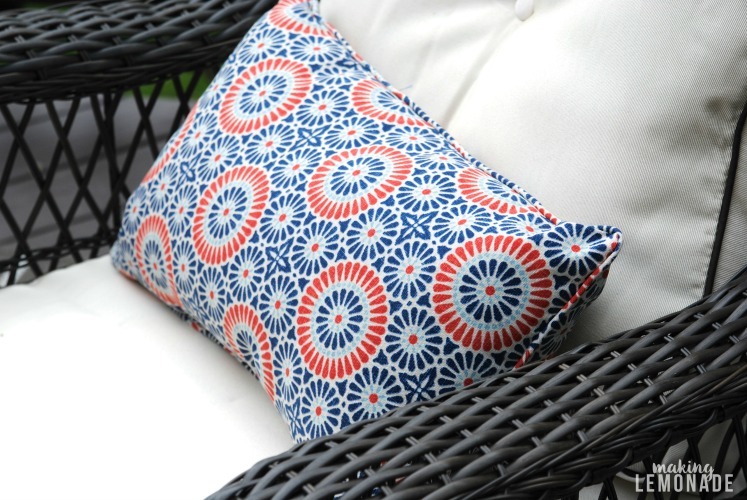 I always scout the outdoor pillow section and loved these lumbar pillows that will look great all summer long. Lanterns are a must. 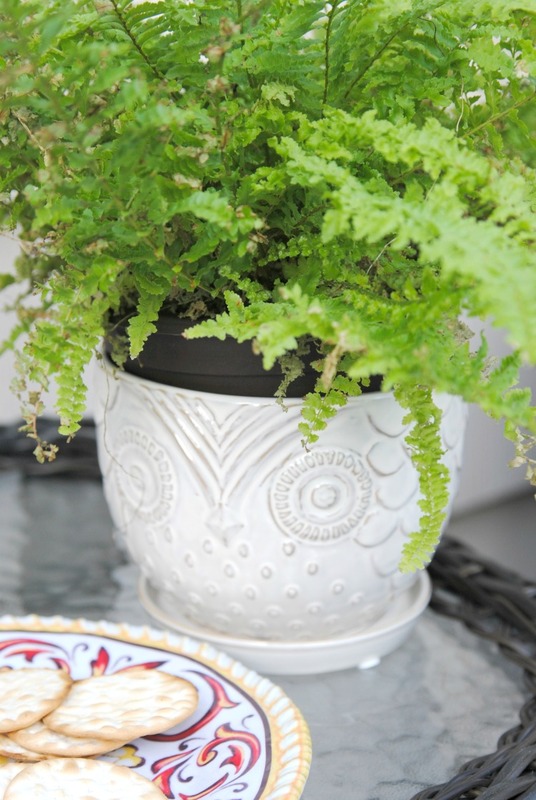 They look great on tabletops, deck rails, and I like to scatter some around the seating area to set the mood. I’m a lantern hoarder but use them everywhere! Since the temps are currently too cold for actual outdoor plants, I added a fern to this cute owl planter and can easily bring it indoors at night. 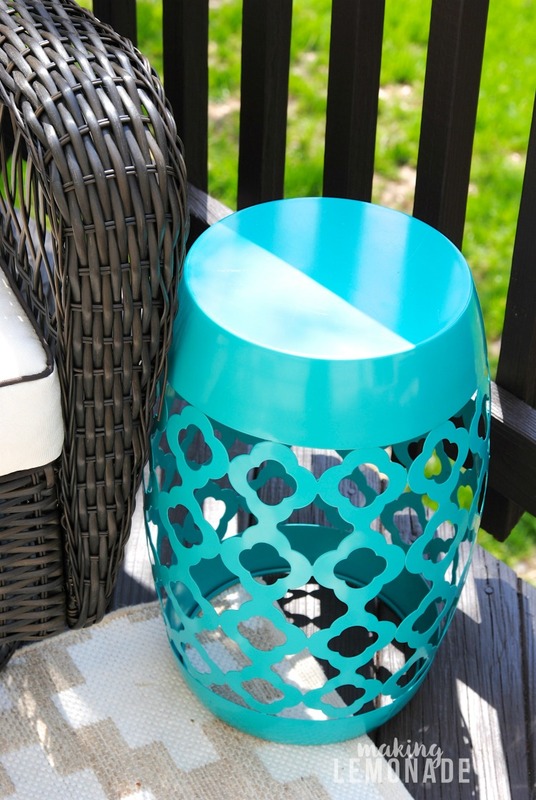 Big Lots had plenty of large fiberglass planters that aren’t too heavy and will look great once it warms up out here. Can’t wait for spring to *actually* hit Pennsylvania so I can fill my large planters again. Step One: Wait for snow to melt, blerg…. (we used our snow day to put together the furniture). 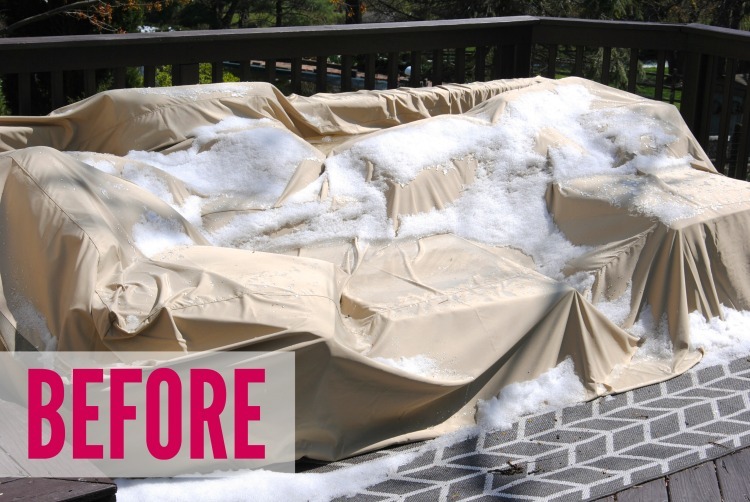 Step Two: Remove outdoor furniture covers and clean off furniture (do this before cleaning off the deck since debris may fall on it). 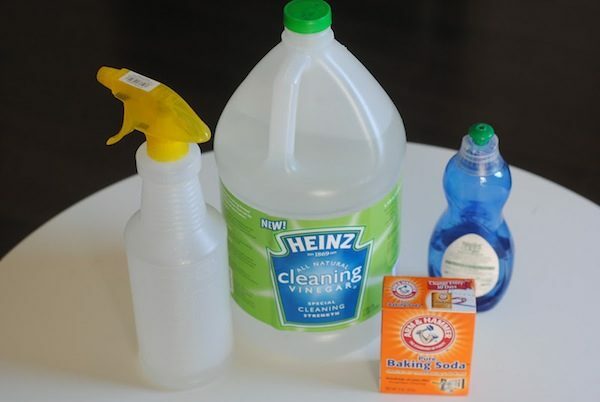 We love Magic Erasers for cleaning furniture, and a spray from a hose usually does the job too. Step Three: Clean off debris from the deck by sweeping/ using the leaf blower and then washing any areas that appear dirty. I’ve found plain water works best but they do also sell deck cleaner for this purpose. Step Four: Clean outdoor rugs with a hose, scrub any stained areas and let dry by hanging over a railing (don’t put it down on the floor wet!) Better yet, if your rugs are in bad shape get a new one. 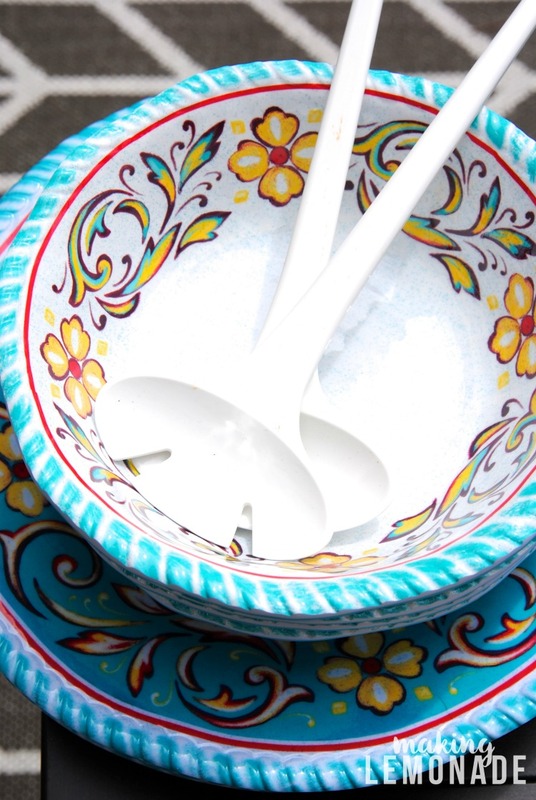 They’re inexpensive and add a cozy layer to the space, plus no worries if you drop food on it it– just hose it off. Step Five: Your deck is now ready to be bedazzled! Or, bedecked! Load in your dry outdoors rugs and furniture. When coming up with a furniture layout, think about how people use the space. Make sure there is room for ‘flow’ and movement in high-traffic areas. Put seating in the shade, keep the grill away from areas where kids may roam, etc. Step Six: Take a look and see where you need additional shade. 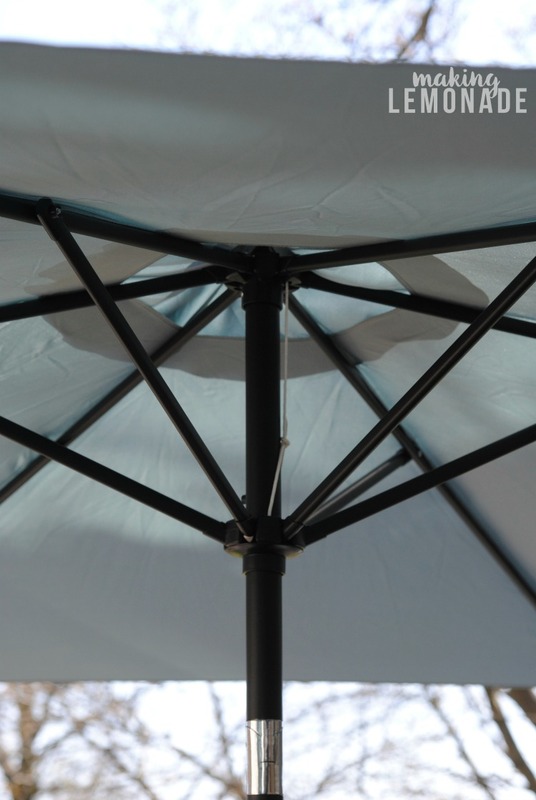 Add patio umbrellas over eating or seating areas that are most impacted as the sun moves across the sky. Step Seven: Layer on your accessories and decor. 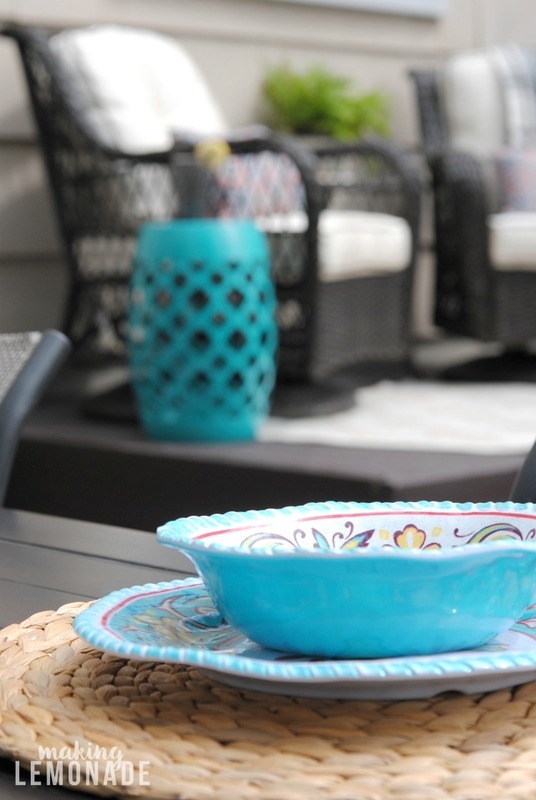 Solar lanterns, throw rugs, umbrellas, garden stools, and plastic dishware make the patio party-ready. HINT: I keep an outdoor trunk with all my plastic servingware and grilling utensils inside so they’re always ready. 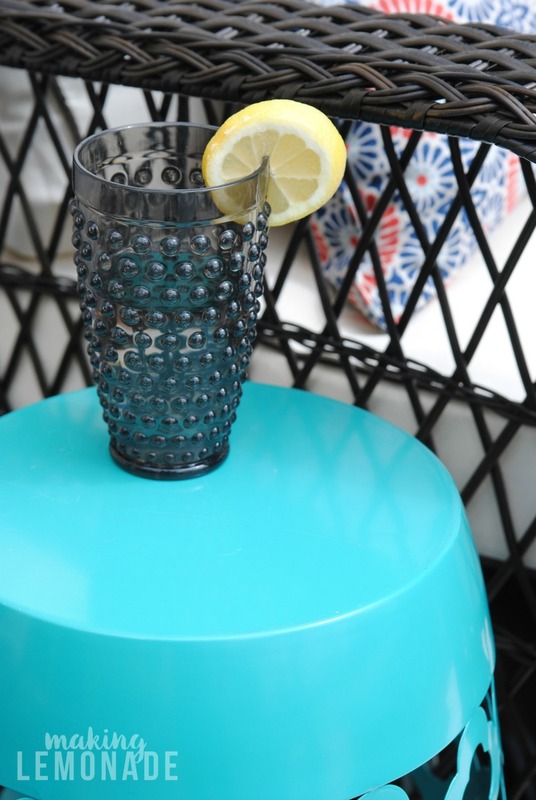 Another tip is to purchase (plastic) drinkware in various colors. 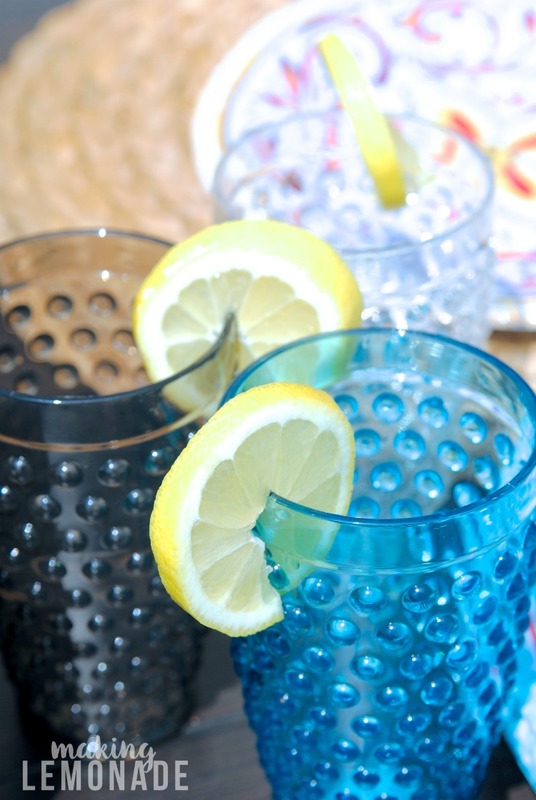 While I love the monochromatic look of using just one color, it can be confusing to remember which glass belongs to which person. Mixing up your drinkware colors and patterns is fun AND helps people remember which cup was theirs. Another item that’s nice to have is a beverage container. 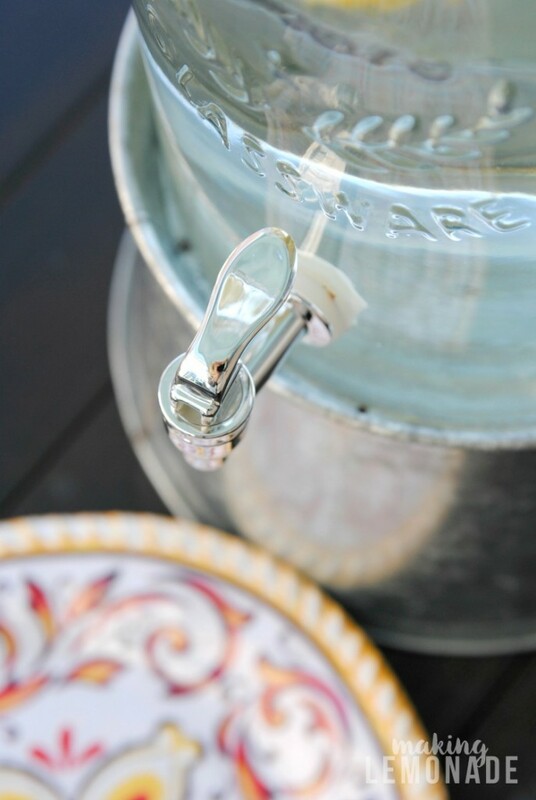 Fill it with water, ice and lemons (OF COURSE) to keep everyone hydrated & refreshed during warmer months. 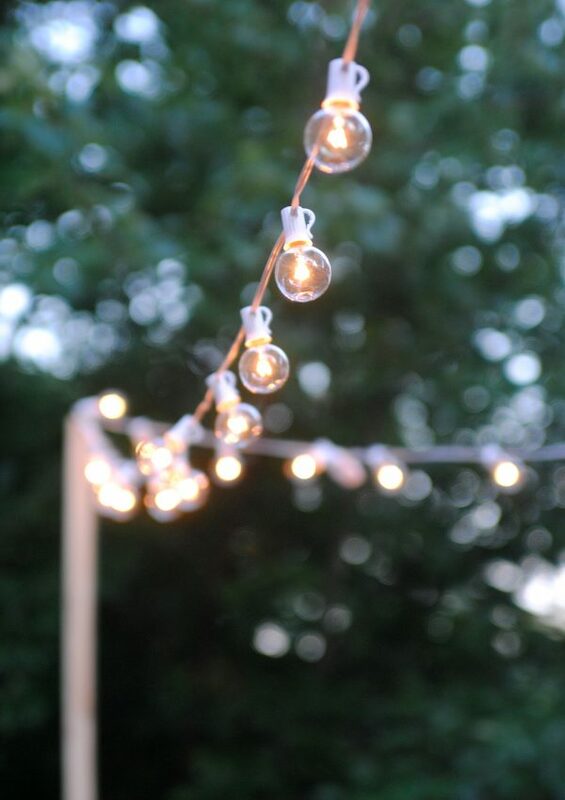 Another tip is to string up inexpensive patio lights so you can entertain into the nighttime hours. 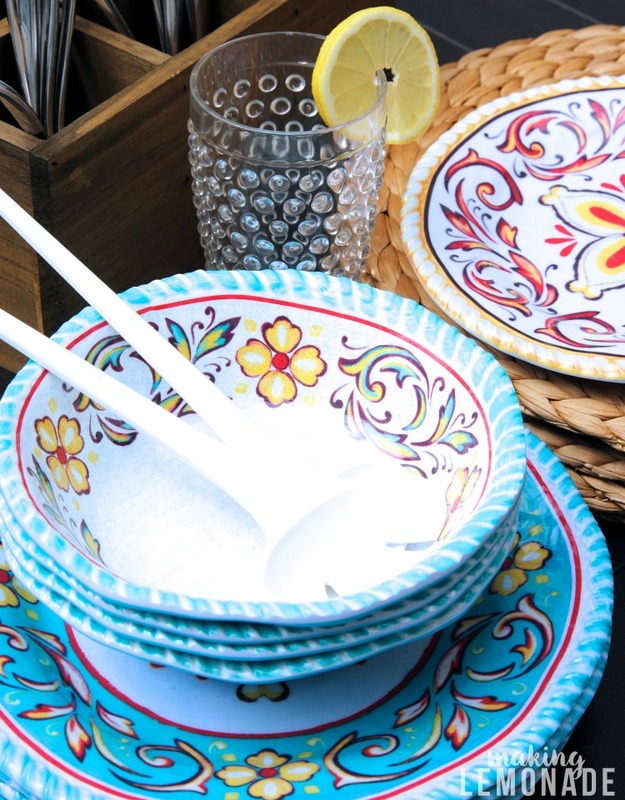 Gives everything a festive vibe and provides mood lighting that fits summer so perfectly. 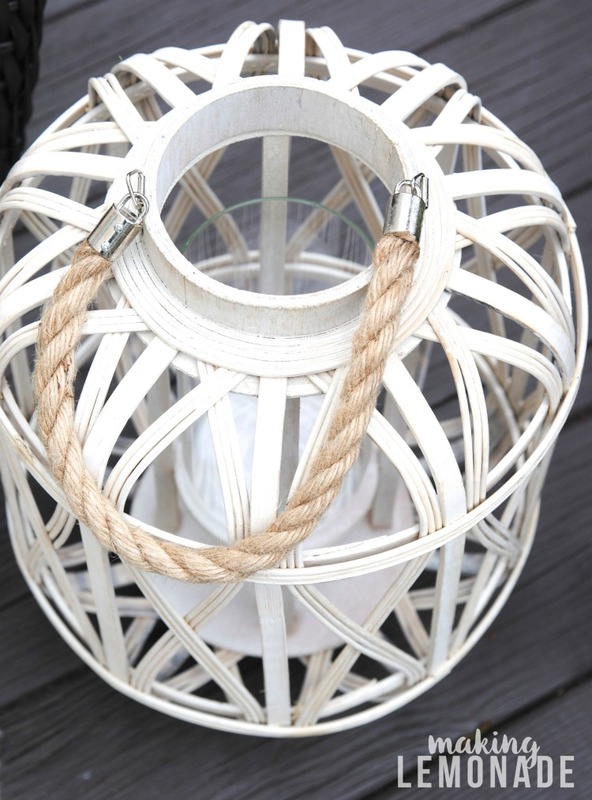 We can’t wait to rehang our patio lights once the weather gets a teeny bit warmer! Step Eight: Now that the space is ready, open your doors! 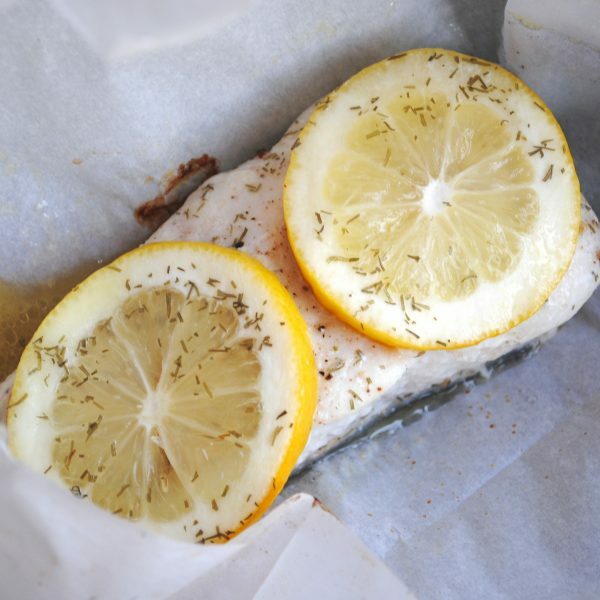 We love having parties for specific occasions as well as last-minute summer grill-outs and playdates. What’s great about the outdoor space is once it’s ready, it’s so easy to maintain for the season. We keep our fridge stocked with beverages and summer necessities so when inspiration hits we only have to grab burgers, chicken and buns before the guests arrive. The new outdoor furniture set gives extra seating for parties as well as a shady corner for my morning coffee or curling up with a book. I get it– people might think we’re nuts for literally shoveling snow to get our deck ready. But temps are rising and with a sunny forecast this weekend, it is SO NICE to look out and see this instead of a waterlogged furniture cover and empty deck! Headed to Big Lots? 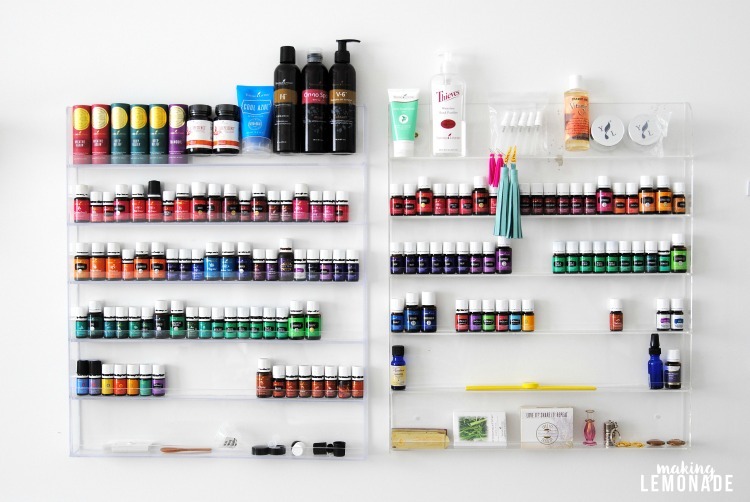 Please note that styles and assortment vary by store. 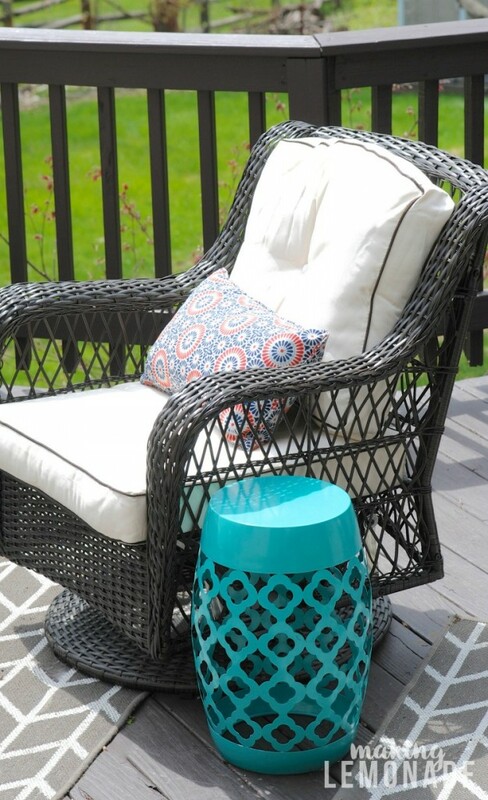 If you’re looking for an outdoor refresh, now’s the time to head to Big Lots for the best selection and be ready to enjoy every wonderful second of warmer weather. What’s the first thing you set up in your outdoor space? Looks really wonderful! Love those swivel chairs. One disability paycheck foes not let me go to Big Lots (my favorite store) to pick out anything but happy you got a pretty set. I love that little blue table, just need it in a different color looks awesome what you did! U R inspiring. I think I found Big Lots 20 years ago or more in CA. It’s a wonderful store filled with bargains and a lot of quality merchandise. Nice choice in the swivel chair – never did shop Big Lots during the garden season. Will try it soon I guess! Thanks for sharing your deck – love it!